So many books to be excited for this year! 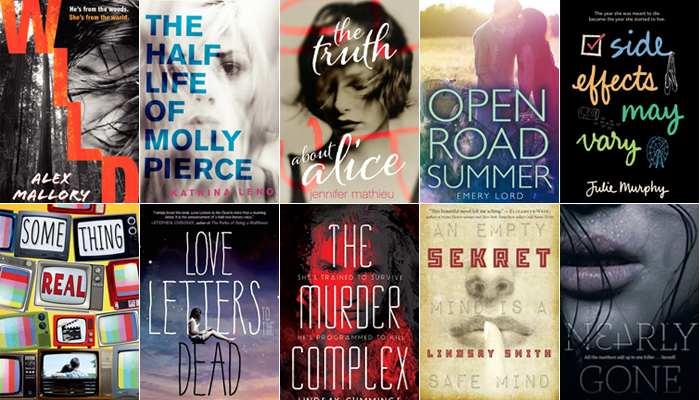 What 2014 debuts are you looking forward to? Yes to basically all of these! I'm especially looking forward to reading Side Effects May Vary and Something Real, as well as Love Letters to the Dead. I'm excited for all the awesome contemporary debuts this year! I am really excited about Nearly Gone! It sounds really interesting and creepy! Great choices. Wild: A Tarzan re-telling?! What?! How have I not caught this? Awesome. I also cannot wait for Nearly Gone. Love Letters to the Dead looks awesome and Wild totally genius! I love these posts to find things I haven't heard of! Great list! I'm so excited for so many of these and a few made my list too. I am super excited for Love Letters to the Dead and Side Effects May Vary, they both look so great! There seems to be so many good books coming out in 2014, I'm not sure where I'll find the time to read them all. I hope you get to all of your picks :) My TTT. I'm really looking forward to reading The Truth About Alice, Side Effects May Vary, Something Real, Open Road Summer and Love Letters to the Dead, but the standout for me on your list right at this moment is Wild. A retelling of Tarzan? SIGN ME UP.